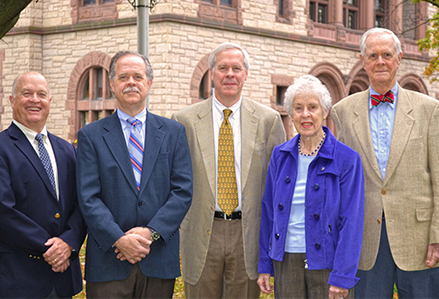 The Bender Family Foundation was established in 1997 and works to foster, preserve and fund the arts, culture, education, history and environment of New York State’s Capital Region. Preference is given to projects in: (1) the city of Albany; and (2) the county of Albany; however, the area within a radius of no more than 30 miles measured from the site of the present New York State Capitol Building (State Street, Albany) will also be considered. The Foundation does not make grants to individuals or to support annual fund drives. Grants from this fund usually range from $5,000 to $10,000. If your organization was awarded a grant in 2018, please do not apply for new Bender Family Foundation funding until 2020. If your organization is awarded a grant in 2019, you will be eligible to apply for new Bender Family Foundation funding in 2021. Submit a pre-application. If your organization is invited to submit a full application you will be notified by email. Already started your Bender Family Foundation pre-application? Click here to return to your in-progress application. If your organization is selected to receive a grant, you will be required to submit a written progress report in six months and a progress report within 60 days of the completion of the project. For multi-year grants, more frequent reporting maybe required. The Bender Family Foundation Trustees may conduct site visits, at their discretion, during the course of the grant period. If you have questions please contact Shelly Connolly, Vice President for Community Grantmaking. Please do not contact the Trustees of the Bender Family Foundation. View and apply for funding for nonprofit organizations.